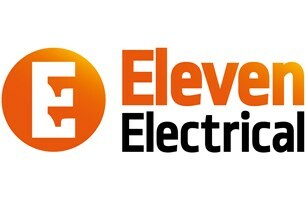 Eleven Electrical Ltd are based in Cardiff and have are into our 5th year with over 25 years of experience. We carry out all aspects of electrical work in the domestic, commercial and light industrial sectors with a great deal of pride, passion and professionalism. We always offer a FREE, no obligation estimate to all our clients regardless of domestic or commercial. We also ensure that you will receive a 1st class service from start to finish, from initial concepts or plans to sign off and certification. We are always here and happy to help with any enquiries too. At Eleven Electrical Ltd we value our clients and understand what it means to be a trusted, professional and reliable contractor. We respect and value our client's premises and property at all times. We have kind, courteous and knowledgeable staff. We are Part P, NICEIC Approved Contractors, Competent Person Scheme registered, all of our work is fully insured and comes with the NICEIC Platinum Promise. We also have fully qualified design staff that can offer bespoke designs for lighting and power plans and also light fittings. We can source materials and research installation methods for you - tailoring each project to our clients' needs and requirements. We to serve locally (domestic & commercial) & UK wide (commercial contracting only).